Hey, Leaguers. 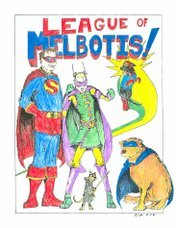 If you go to the League of Melbotis store at cafepress.com, you will see a few items have been changed to include the official LoM artwork. We suggest you get an item for every single person you know. Go to the store now.